I need to align the y-axes in the plots below. I think I'm going to have to do some rasterizing and searching for vertical lines, then vary x and w. Is there a better way? The padding detection that's based on rasterizing might be off by a pixel, so I added 1 for safety. Warning: the automatic padding depends on the image size! The tick marks or labels might "hang out" a bit. You might need to use padding@Show[a, ImageSize -> 100] to get something that'll work for smaller sizes too. I have used this method myself several times, and while it's a bit tedious at times, it works well (much better than figuring out the image padding manually). The default layout is far from visually appealing. Here I provide the package-ready plotRow function that builds on Szabolcs's (and Heike's) approach when estimating padding and also accounts for AspectRatios by querying them directly from plots. One only has to specify the desired vertical size (200) to easily align frames. The same can be easily done for a vertical layout by modifying the appropriate parts of plotRow. Not the answer you're looking for? Browse other questions tagged graphics plotting or ask your own question. How to change frame size, while maintaining ImageSize? 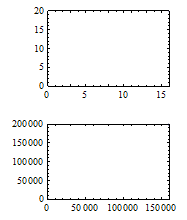 Match axes lengths of two plots? 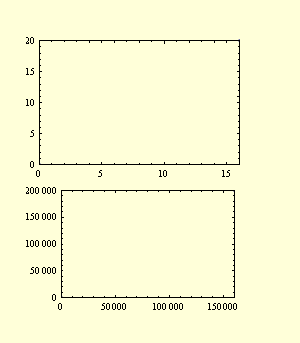 How can I make a grid of plots with no spacing, and have the plots line up perfectly? Is there a way to automate “aligning plot axes in a graphics object” for more than 2 plots?